Joel Caldwell of Cory Watson Attorneys has been elected to the Junior Board of Children's Village. While volunteering there as a computer tutor, I saw first-hand the great need for compassionate and individualized children’s care, especially for those in the foster system. 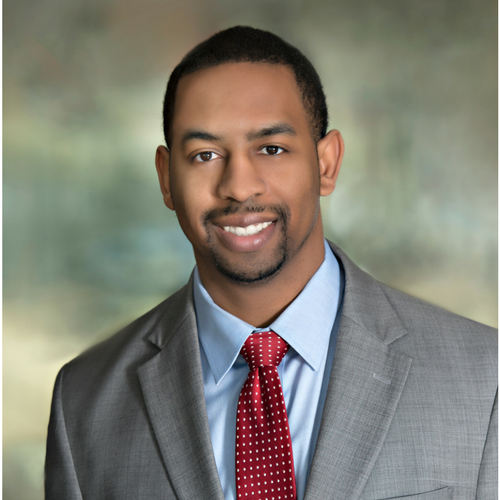 Cory Watson attorney Joel Caldwell has joined the junior board of directors for Children’s Village, a nonprofit organization that serves as a home and safe haven for Birmingham children in foster care. Joel Caldwell says he always knew that he was going to be involved with Children’s Village one day. Children’s Village has provided shelter, food, and clothing to Alabama’s abandoned, abused and neglected children for 50 years. They are located in the southwestern area of Birmingham, Alabama, and presently have two houses in which to house ten boys and eight girls from ages 6-18. They are the only facility in Jefferson County that can accept male and female siblings, keeping sibling groups together. Joel Caldwell is actively involved in the community, serving as a representative for the Alabama Lawyers Association and as a board member for the Middle District Alabama Federal Bar Association. He is also an active member of Canaan Baptist Church in Bessemer, Alabama. Caldwell studied law at the University of Alabama and received his bachelor’s degree from Vanderbilt University. Caldwell has always been motivated by the fact that, as a lawyer, he is dealing with someone during a tough time in their life, and he has the opportunity to serve and bring results that make a direct and positive impact. His desire for justice and drive to help people in need continues to characterize his practice in mass torts litigation, civil litigation and personal injury at Cory Watson Attorneys. Children’s Village, Inc. provides a home that allows their children to grow and develop in all areas of their lives. They provide a “family unit” for children that have been orphaned, abused, neglected or have broken family relationships. This is accomplished by providing them with unconditional love, a spiritual foundation and positive parental guidance. Children’s Village also provides educational and enrichment programs, and they encourage positive social relationships and community activities. Cory Watson Attorneys is a national personal injury law firm with more than $2.7 billion in recoveries for clients. Attorneys are frequently appointed to leadership positions in national cases involving pharmaceuticals and defective medical devices. Practice areas include product liability, class actions, mass torts, pharmaceutical litigation, wrongful death, asbestos, mesothelioma, car accidents, truck accidents, catastrophic injury, aviation, recalled products, and environmental litigation. Cory Watson Attorneys is based in Birmingham, Alabama. To learn more, visit http://www.corywatson.com.